At M Street Kitchen, $5 goes a long way. 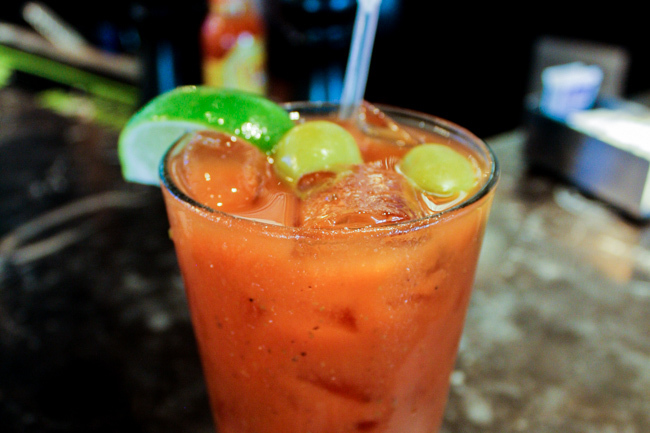 This celery salt heavy bloody mary features a whole lot of Zing Zang Bloody Mary Mix, a decent pour of well vodka, and plenty of ice. Two big bar olives provide a small appetizer before you enjoy your big brunch meal.